There is much more. 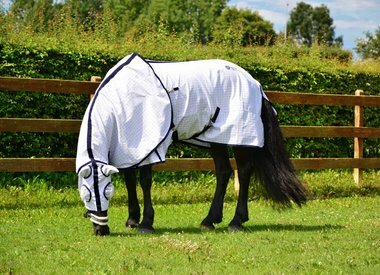 The Fryskware summer blankets have a UV-resistant coating avoiding sunburn, protecting the fur colour. The Frisian black remains black, the Baroque horse keeps its colour. 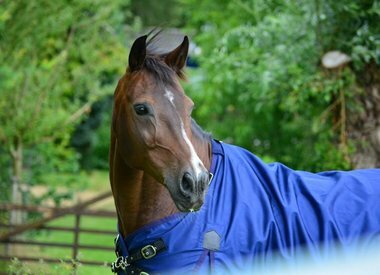 The removable neck with mask made of gauze has a satin stripe protecting the manes against chafing. 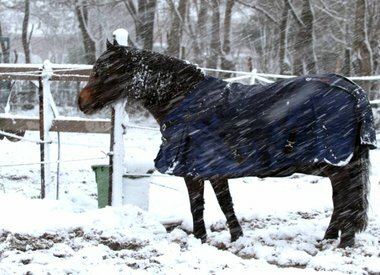 The Fryskware winter blankets have a smooth, antibacterial, temperature regulating lining that avoids chafing.